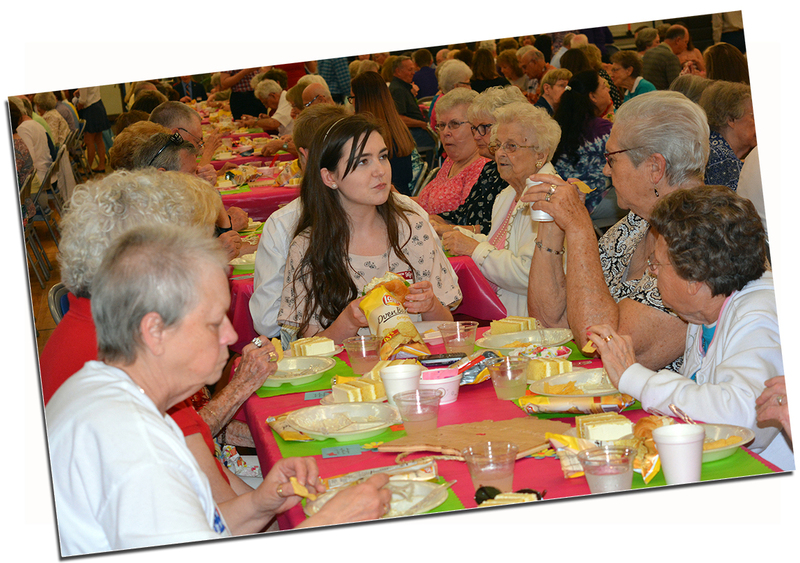 Senior Citizens -	Your Fall Lunch is Served! We are excited to announce that Thursday, November 15 at 12:00 noon, is the date and time for our annual Fall Senior Citizens Luncheon and Program! The event will be held in the gymnasium at Mount Vernon High School. 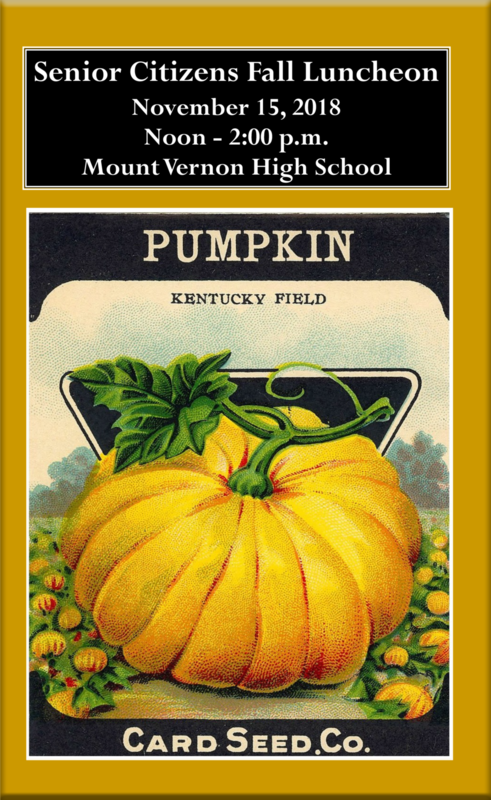 There is no charge for this event, thanks to The Community Foundation of Mount Vernon and Knox County and the Mount Vernon City Schools Board of Education. Our Master of Ceremonies, Superintendent Bill Seder, is busy planning an entertaining and informative afternoon for area senior citizens. If you have attended our luncheons before, you know what a great time we all have when we get together. Please join us for some good food, fellowship with each other, and an awesome time sharing with students. or email her at tstreby@mvcsd.us by Monday, November 12.